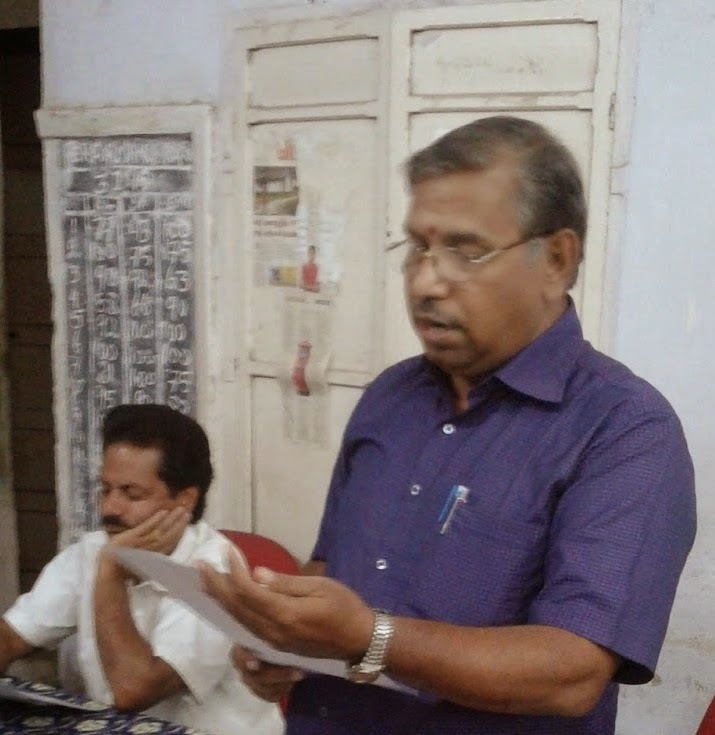 2015-01-04 ~ National Association of Postal Employees, Tirunelveli Division. அன்பு சகோதரர் திரு.R.ராஜகோபாலன் (Postmaster Gr I, Kodungaiyur) அவர்களுக்கு திருநெல்வேலி கோட்ட சங்கத்தின் மனம்நிறைந்த வாழ்த்துக்கள் உரித்தாகட்டும். Ministries/ Departments may refer to CS.I Division, DoPT’s O.M. of even number dated 31st July 2014 and 9th September 2014 on the subject mentioned above. 2. The Government has since amended the Public Servants (Furnishing of Information and Annual Return of Assets and Liabilities and the limits for Exemption of Assets in Filing Returns) Rules, 2014 under the Lokpal and Lokayuktas Act, 2013 vide Notification No.G.S.R. 918(E) dated 26th December 2014, in terms of which, the last date of revised returns of assets and liabilities by public servants has been extended to 30th April 2015. The Notification is available on the website of this Department. Further, the Govt. have also modified Form No.II and Form No. IV for filing of the returns. The revised formats are attached herewith. Accordingly, all the CSS Officers shall be required to file the revised declarations, information as on the 1.8.2014 by 30.4.2015. 3. The extended date and the modified formats for filing of the returns may be brought to the notice of all CSS Officers. Ministries! Departments are also requested to forward the declarations, information, returns submitted by US and above level officers of CSS to CS.I Division, DoPT for records. Tirumala Darsan tickets at post office. Buoyed by the success of the pilot project of issuing ‘Rs.300 special entry darsan tickets’, Department of Posts (DoP), in association with Tirumala Tirupati Devasthanams (TTD), has decided to extend the service through all the 95 head post offices in Andhra Pradesh and Telangana from Monday. 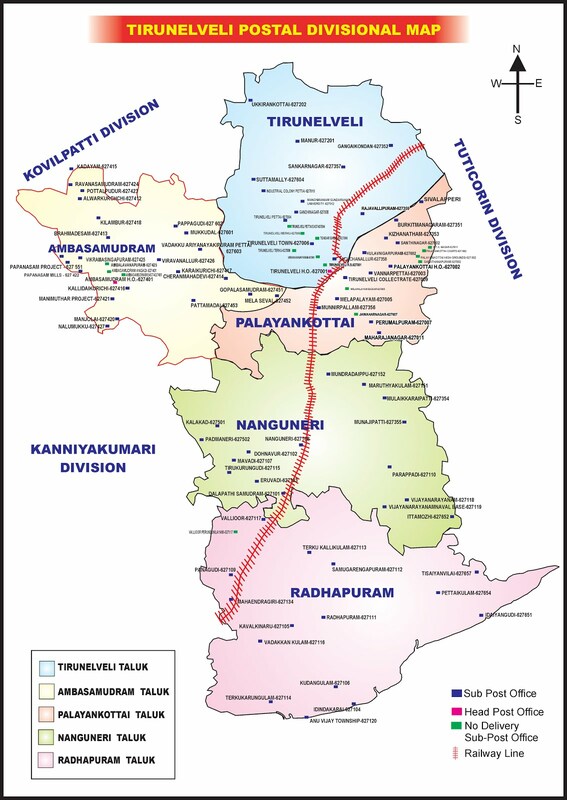 The project, offering TTD’s darsan tickets, was envisaged on December 1 last year through nine post offices across five districts of Andhra Pradesh and Telangana with the intention of reaching out to more people. Positive reviews emerging from various corners of the two States prompted the officials to launch the facility through head post offices. Inaugurating the services at Tirupati's Head Post Office here on Monday, TTD Executive Officer D. Sambasiva Rao said that this method of booking would be more pilgrim-friendly when compared to internet booking/e-darsan as majority of the population including rural masses would have access to post offices. As many as 5,000 tickets would be allocated by the TTD in different slots for post offices falling under the project. Devotees could book the tickets four weeks in advance so as to plan their itinerary. The facility would also be available at sub post offices at Narasampet (Warangal district) and Madanapalli Bazaar (Chittoor District). In wake of complaints against internet booking of Rs. 300 tickets, TTD was contemplating ensuring booking in post offices with internet facility. To the suggestion of Chief Post Master General B.V. Sudhakar to enable booking of accommodation and kalyana mandapams through HPOs, Mr. Sambasiva Rao said the TTD would look into the feasibility of introducing the facility. Postmaster General Meera Ranjan Tsering and District Postal Services D.V.S.R. Murthy from Kurnool region, Tirupati Superintendent of Posts T.A.V. Sarma, TTD Deputy Executive Officer C. Ramana, GM Transport Sesha Reddy, EDP Manager Bhaskar and other officials took part. ஒரே நாளில் நடைபெற்ற மூன்று கோட்ட சங்க மாநாடுகள். 04.01.2014 அன்று ஒரே நாளில் நடைபெற்ற மூன்று கோட்ட சங்க மாநாடுகள். 04.01.2014 அன்று மயிலாடுதுறை,கும்பகோணம் மற்றும் திருவண்ணாமலை கோட்ட சங்க மாநாடுகள் அந்தந்த பகுதிகளில் நடைபெற்றன. மயிலாடுதுறை கோட்டத்தில் கீழ்க்கண்டபுதிய நிர்வாகிகள் ஒருமனதாக தேர்ந்தெடுக்க பட்டனர். மூன்று கோட்டத்தின் புதிய நிர்வாகிகளுக்கு நெல்லை கோட்ட சங்கத்தின் வாழ்த்துக்கள். The postal department takes 15 days to deliver a speed post resulting in a woman missing out on her chance of being appointed as a JBT teacher. However, the department stands protected against claims of deficiency in services by virtue of a statute which says a post office is not liable to compensate if damage caused was not wilful or fraudulent. The post office derives this protection from section 6 of the Indian Post Office Act, 1898 which says no official of the post office shall incur any liability by reason of any loss, mis-delivery, delay or damage, unless he has caused the same fraudulently or by his wilful act or default. In the instant case, a woman from Gurgaon, was denied any relief by the Gurgaon District Consumer Disputes Redressal Forum when she claimed a compensation of Rs. 20 lakh from three post offices after her applications for JBT teacher’s appointment failed to reach the Delhi Subordinate Services Selection Board’s office in time. The woman had sent two applications for appointment of JBT teacher by way of speed post registry on December 31, 2009 through post office, Pataudi, Gurgaon with last date for submission as January 15, 2010. The Speed Post registry failed to reach it in time to DSSS Board at Karkardooma here even as a speed post should have reached within 48 hours. She moved the District Forum against Post Office, Pataudi, District Gurgaon, the main post office in Gurgaon and the post office at Karkardooma and also the DSSS Board seeking compensation. In their reply, the post offices at Gurgaon told the Forum that the complainant’s post was dispatched to Speed Post Centre, Delhi on December 31, 2009 for being delivered to its destination. However, the centre in New Delhi inadvertently dispatched both the articles to Krishna Nagar head office due to heavy work in connection with mailing AIEEE admission forms. Her posts were received at Krishna Nagar office on January 15, 2010 and were anyway taken to DSSS Board but they refused to accept the same. The post offices on their part said it was the fault of the Board that it refused to accept the applications and went on to claim protection under section 6 of the Indian Post Office Act. The Board in turn said it could not accept any application after the advertised date and time. Accepting the arguments, the District Forum held the post office not liable. Consequently, no case of deficiency of service is made out, it said. In an effort aimed at improving delivery and reducing dependence on rail transport, the department of posts has started operating mail vans to places across the State. Starting on a pilot basis, the department is now operating mail vans between Chennai and Madurai via Tiruchi, and between Chennai and Coimbatore via Salem. At present, nearly 75,000 mails and parcels, on an average, are processed and transported through trains every day. The department expects to save a minimum of two or three hours by operating the mail vans, and reduce the cost of transportation through the rail network by 50 per cent. “We plan to speed up delivery within the same postal region to the same day,” said Mervin Alexander, postmaster general (Chennai city region). Officials of the postal department noted that operation of mail vans would also reduce congestion at railway stations. “Instead of transporting mail to railway stations and waiting to load them according to train schedules, we may save a few hours by operating mail vans directly to the post offices in other places,” an official said. Earlier, dedicated rail coaches were used to transport mails. Now, mail bags are loaded on unreserved passenger coaches, thereby posing inconvenience to commuters and sometimes resulting in damage to goods. Officials, recalling instances of mails falling onto railway tracks, said delivery through the road network would ensure safer delivery, and reduce damage to mail bags, which, at present, are pilfered at the rate of one or two per cent. More mail vans will be operated depending on the success of the pilot project, officials said.